View from Fletcher is the perfect setting for a large family or group getaway. 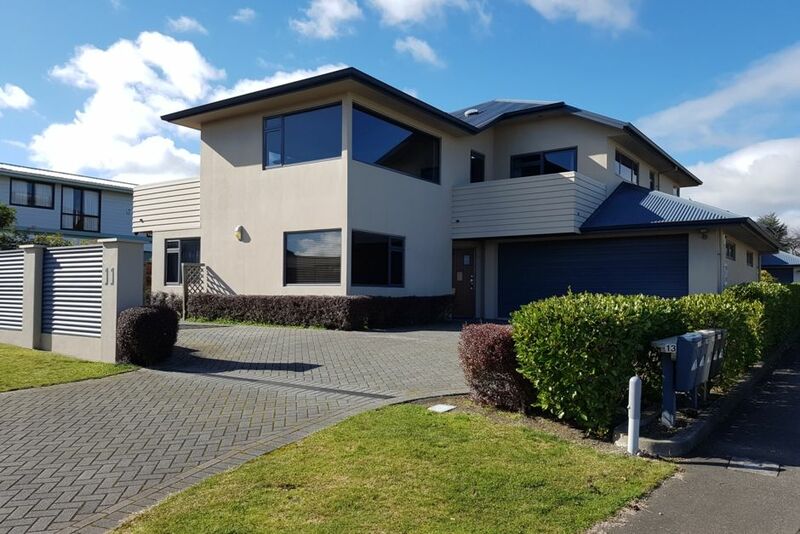 Located just a stones throw from town & the lake you can get among the hustle and bustle that Taupo Town Centre has to offer, or relax in your surrounds taking in the stunning views of Lake Taupo and the mountains in the distance. This home is set across two levels with upstairs boasting a large kitchen, dining area, lounge and two bedrooms. Downstairs offers a kitchenette, second lounge, second bathroom, further two bedrooms and a laundry. Outside there is enough room for the kids to play and bounce on the trampoline while you get the BBQ fired up and enjoy the afternoon sun on the north-facing deck. Access to the property is self-entry. You will be emailed self-entry details two days prior to your stay. This will provide all information you need to gain access to the property. This property is not appropriate for parties or events. We ask that you are respectful of neighbours and keep noise to a reasonable level during your stay. There is no access to the garage. However, there is off-street parking for 3 cars. We are Taupo locals and we are on hand to assist you if you need anything during your stay. 2x kitchens. Main kitchen is upstairs and the kitchenette is downstairs. The master bedroom and second upstairs bedroom eavh have their own little balcony. Great house plenty of room and well furnished. Clean and well kept this is great for a group. Would suit families as well. Near to town and local amenities. Great house, close to town. We endeavour to make all guest experiences with us the best it can be so will take this feedback and use it constructively. In regards to the second key, I did apologise about this and delivered a second key immediately. We were notified that the iron was missing in the evening when shops were closed and I purchased a new iron the following morning at 9am and delivered it. The top beds are always made up as singles unless guests request them be put together.